Celebrate Spring with stunning pastel floral colors! The Perfectly Pastel bouquet is bright and the perfect gift for special occasions. 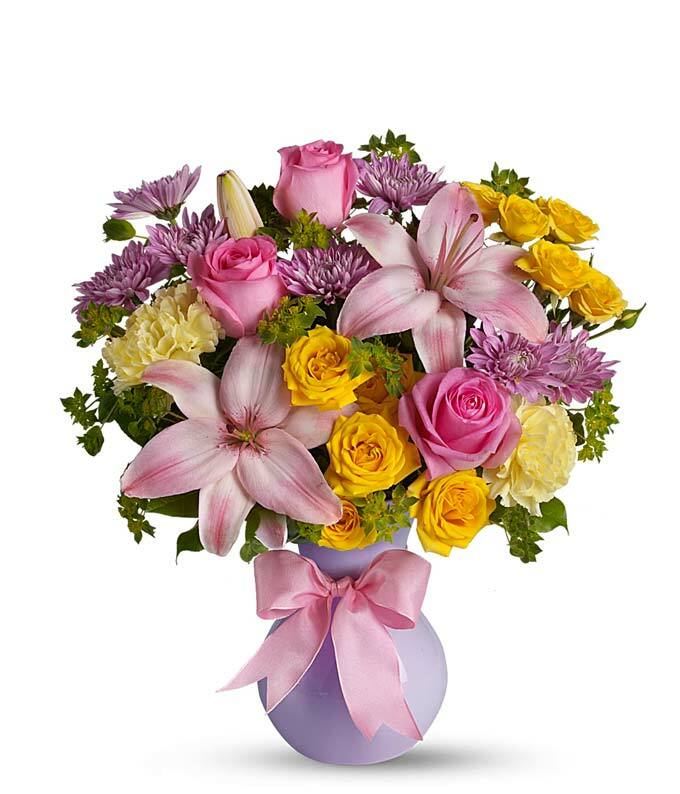 With Pink Lilies, Pink Roses and Purple Mums this bouquet will make a statement. Send it today to celebrate a birthday, get well gift or thank you floral bouquet.